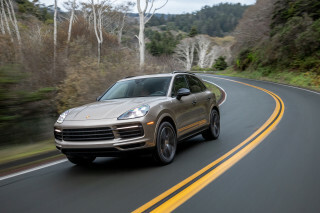 Porsche's first-ever truck, let alone its first four-door vehicle, shares its chassis and certain systems with the Volkswagen Touareg, and truly puts the "sport" in sport-utility, while still being off-road ready. 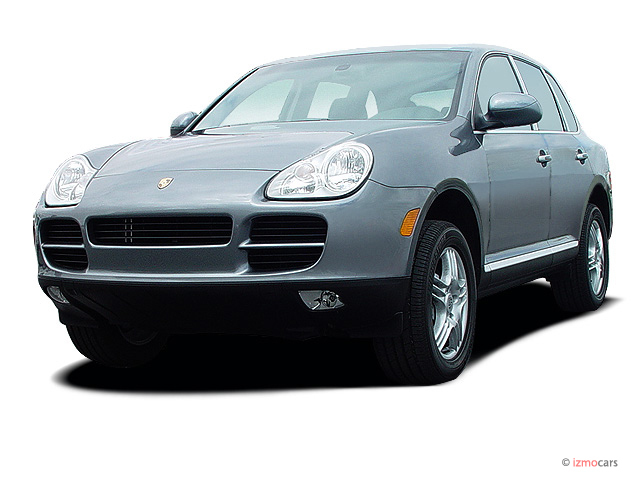 Porsche styling cues, especially at the front end, set this SUV apart from the pack. The base model comes powered by a 247-horsepower, 3.2-liter V-6 engine, while the S version includes a 340-horsepower, 4.5-liter V-8. For those who are able to indulge themselves for the sake of speed, the top Turbo model offers a twin-turbocharged V-8 that generates a stout 450 horsepower. There's a choice of a five-speed manual or six-speed automatic transmission. Four-wheel disc anti-lock brakes and Porsche's Stability Management and Traction Management systems are included across the line. It features a tow rating of 7716 pounds. A Drive-Off Assistant system, available on manual-transmission versions, helps the driver start off on steep grades without having to finesse the gas and clutch pedals. Few changes are in the offing for 2006.